This Sunday, those Russia hacking indictments. The indictment charges 12 Russian military officers by name for conspiring to interfere with the 2016 presidential election. President Trump says he remains unconvinced. I call it the rigged witch hunt. And it really hurts our relationship with Russia. And still looks forward meeting tomorrow with Vladimir Putin. I think that we would have a chance to have a very good relationship with Russia. The question, is this the right time to hold a summit with Putin? My guests this morning: The U.S. ambassador to Russia Jon Huntsman, Democratic senator Mark Warner of Virginia, and Republican senator Dan Sullivan of Alaska. Plus, confronting allies. President Trump threatens NATO, takes on Theresa May on Brexit, and praises her rival. I also told Theresa May how to do it, but she didn't agree-- she didn't listen to me. And the GOP versus the F.B.I. Republicans in Congress charge F.B.I. agent Peter Strzok with bias against President Trump in the Russia investigation. That is bias. Agent Strzok may not see it, but see it, but the rest of the country does. I strongly believe today's hearing is just another victory notch in Putin's belt and another milestone in our enemy's campaign to tear America apart. Joining me for insight and analysis are Amy Walter, national editor for the Cook Political Report, Hugh Hewitt, host on the Salem Radio Network, NBC News political analyst Elise Jordan, and Joshua Johnson, host of 1A on NPR. Welcome to Sunday. It's Meet the Press. Good Sunday morning. Well, it turns out it wasn't somebody sitting on their bed that weighs 400 pounds. Even before Friday's indictments of 12 Russian intelligence operatives for hacking the Democrats during the 2016 campaign, four U.S. intelligence agencies had already weighed in. The F.B.I., the C.I.A., the D.N.I. and the N.S.A., all of them had concluded that Russians interfered in the 2016 election and they did so with the goal of helping Donald Trump. In fact, you can view the Russian hacking of Democratic emails, opposition research, turnout models as the Watergate burglary of the 2016 election, the political crime of the 21st century. Now, as in 1972, the central crime is the penetration of the DNC by hostile actors. Then, the hostile actor was the Nixon White House. Now, it's the Russian government. And, as in 1972, the White House, this one was quick to distance itself from this crime. The Trump White House quickly put out a statement pointing out that there were, quote, "No allegations of knowing involvement by anyone on the Trump campaign." That's true at least for now in this indictment. What President Trump didn't do was express outrage over the Russian hacking. What he did do was to reaffirm his claim that the Mueller investigation is a witch hunt and tweet that the Russian criminality took place during the Obama administration and that it failed to respond. What the President didn't do was postpone his summit on Monday with Vladimir Putin. What he did do was signal perhaps that he trusts Putin's denials over the findings of his intelligence agencies and his Justice Department, leaving much of the world asking why. I think I'd have a very good relationship with President Putin if we spent time together. The indictment of 12 Russian military officers just three days before Monday's one-on-one meeting is the most detailed account yet of Russia's attack on America's democracy. I briefed President Trump about these allegations earlier this week. We need to work together to hold the perpetrators accountable. He's not my enemy. Hopefully someday maybe he'll be a friend. I would have done it much differently. She didn't listen to me. --and most notably attacking his own Justice Department and the special counsel probe tasked with investigating Russian interference in the 2016 election. I call it the rigged witch hunt. I think that really hurts our country. And it really hurts our relationship with Russia. The indictment fills in the gaps of several extraordinary moments in the summer of 2016 and raises questions about the Trump campaign's role in the attack on the United States by a foreign power. First, there's the infamous Trump Tower meeting. June 3rd, Donald Trump Jr. is promised dirt on Hillary Clinton through a Kremlin intermediary, replying, "If it's what you say, I love it. Especially later in the summer." June 8th, the indictment says Russian intelligence officers launch DCLeaks.com and begin to release stolen DNC emails. A day later, Donald Trump Jr., Jared Kushner, and Paul Manafort meet in Trump Tower with Russians tied to the Kremlin. Second, the indictment reveals that on July 27th Russian hackers tried for the first time to hack into servers in Clinton's personal campaign office. It is the same day Mr. Trump said this about Clinton's emails. Russia, if you're listening, I hope you're able to find the 30,000 emails that are missing. Mr. Trump has consistently questioned the conclusion of his own intelligence agencies. President Putin really feels and he feels strongly that he did not meddle in our election. He has even denied the hacking of the DNC and Clinton's campaign occurred. She doesn't know if it's the Russians doing the hacking. Maybe there is no hacking. It also could be somebody sitting on their bed that weighs 400 pounds, okay? Though Mr. Trump says he will bring up hacking with Putin in their Monday meeting, on Friday he was dismissive. I don't think you'll have any, "Gee, I did it. I did it. You got me." There won't be a Perry Mason here I don't think. But you never know what happens, right? 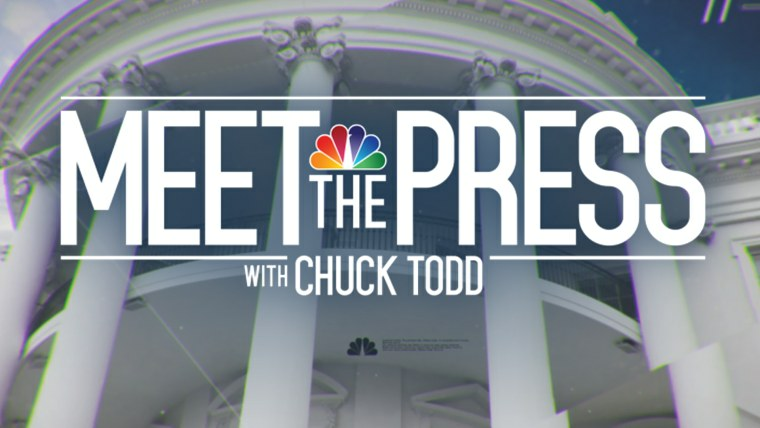 CHUCK TODD:And joining me now from Helsinki, the site of the Trump-Putin summit, is the U.S. Ambassador to Russia, Jon Huntsman. Ambassador Huntsman, welcome back to Meet the Press, sir. Let me start with a simple question. Is this summit still on? And if so, why? Well, listen, and it isn't a summit. I've heard it called a summit. This is a meeting. In fact, it's the first meeting between the two presidents. They've had some pull-asides, one at the G20 in Hamburg and the other at the APEC Ministerial in Da Nang, Vietnam, but this is really the first time for both presidents to actually sit across the table and have a conversation. And I hope it's a detailed conversation about where we might be able to find some overlapping and shared interests. This has not happened before, so there's a lot in our agenda that's been built over now many years of a relationship that is terribly fraught. So, yes, it will happen, and it should happen. You, obviously, are making a distinction between a summit and a meeting. Is this because we don't have an agenda or we don't have deliverables? Because one of the things you said before in preparation is if you have a summit, you have to have an agenda and you have to have deliverables. Does that mean we're not going to have a deliverable out of this? Well, listen, Chuck, you've been around for presidential summits. I've been around since Reagan's visit to China in the early 1980s. No state dinner, no joint statement, no deliverables that are going to be pre-packaged. You don't know what's going to come out of this meeting, but what it will be is the first opportunity for these presidents to actually sit down across a table, alone and then with their teams, to talk about everything from meddling in the election, to areas where we have some shared interests. You've got to remember, Chuck, that Russia is a country of 11 time zones. It touches Asia, it touches the Middle East, it touches western Europe. And it's inconceivable that we can solve some of the international issues without engaging Russia at some level. Now, right now, there's no trust in the relationship. And because of that, problem solving is practically impossible. So, this is an attempt to see if we can defuse and take some of the drama, and quite frankly some of the danger, out of the relationship right now. How did the indictments of 12 Russian military officers on Friday change the agenda? Well, I don't think the details are a surprise to folks who have followed this. That now makes probably almost 30 Russians who have been rolled up by the Mueller indictment. That investigation continues. And I think the bigger picture is we need to hold the Russians accountable for what they did, their malign activity throughout Europe as well. That's a part of the conversation that needs to take place. And again, Chuck, this is why it's so important to get our senior leaders together, because these conversations have happened at the local level. I'm on the ground. I'm on the front lines in Moscow. They happened at our level, but they haven't happened at the senior-most levels in the detail that we're likely to get tomorrow. That's why this gathering is important for, for one reason. Two things, will the president ask Putin to extradite the 12 Russian military officers? And have you formally requested that the Russian government do this? We don't have an extradition treaty, so we have to make a formal request. Have you already begun that paperwork? Well, the F.B.I. office in the embassy no doubt is -- will work on that. I can't disclose any details in that regard. Requests can be made. That doesn't necessarily mean that the Russians are going to follow through with it. But we'll see if those steps will be taken. I can't make any announcement right here with you. Is the president going to make the ask or not? I don't know if he'll make the ask, but it may be part of the agenda. It may be part of their bilateral meeting together. We'll have to see. It just came onto the agenda last Friday, so it's something that's brand new. Why does it matter so much that the president have a warm relationship with Putin, whether you want to call it a friendship or not? He’s undertaken -- this is Putin's actions, they're pretty outrageous, annexing Crimea, intervening in Syria to prop up a brutal dictator, interfering in our elections, and by the way, poisoning British citizens just recently in the U.K. And yet we're bending over backwards, it looks like. The appearance is we're bending over backwards in order to have a relationship with Putin right now. Why? Ambassador, let me pause you there. You said China. I assume you're referring to Russia? I'm sorry, of course I'm referring to Russia. That's what I thought. You're obviously a former ambassador to China. Understandable. Go ahead, sir. I'm sorry, Chuck. The redos and the resets, which have largely collapsed. So, the, the objective here is to meet, to put our cards on the table. There isn't a thought that there would be a reset or a redo. We've looked at past history. We have interests, they have interests, and it's a function of seeing where some of those interests overlap. Now, they will overlap in the area of strategic stability and arms control, where we have a very important arms control agreement that is coming due in 2021. Russia's in violation of the INF Treaty. That's got to be talked about. You've got some overlapping interests in Syria, where we've come very close to confrontation. We've got some shared interests with respect to the Korean peninsula, where we both believe in a nuclear-free Korean peninsula, a strong northeast Asia, and non-proliferation. So, all of these are areas where conceivably we can strike up a conversation, but we have to remember that -- let history be our guide. These redos and these resets, they only get you so far, usually end in failure. We've got to put our cards on the table. We have to remember and recognize some of the malign activity that we have been through and approach this with our eyes wide open. Let me ask you this. Does the president buy into the national security strategy assessment that was written in December of 2017? And it read as follows, "China and Russia are determined to make economies less free and less fair, to grow their militaries, and to control information and data to repress their societies and expand their influence." Does the president buy into this? Well, it's his team's document. I certainly assume so. And what you've just described, I can't imagine anyone would disagree with that assessment with either China or Russia. On the issue of Crimea, can you say in no uncertain terms that the president is going to stick to what -- to the piece of paper he signed in Brussels with the NATO -- with the fellow NATO leaders when he said that was never, you know, nothing, nothing changes when it comes to Crimea? Is the president going to, sort of, stick -- stick to his belief that -- or stick to the belief of NATO nations that Crimea belongs to Ukraine and not Russia? But you didn't rule it out. Well, of course it's the president’s call. --"You know what, even though everybody else doesn't think it's a good idea." Of course it's the president's call, but I think it's highly unlikely that that's going to emerge in their conversation, as you suggest. There's a lot more to talk about, strategic stability, Syria, Ukraine, D.P.R.K., our bilateral relationship. We've got a fraught bilateral relationship. The collective blood pressure between the United States and Russia is off the charts high. So, it's a good thing these presidents are getting together. All right. Ambassador Huntsman, I'm going to have to leave it there. I appreciate you doing this interview outside. I know that wasn't an easy thing in Helsinki. Appreciate it. And joining me now is Democratic Senator Mark Warner of Virginia. He, of course, is the top Democrat on the Senate Intelligence Committee, which is doing its own investigation into the Russian interference. Senator Warner, welcome back to Meet the Press. You just heard from Ambassador Huntsman. You are signed onto a letter with a bunch of other Democratic senators calling for the president to either cancel the summit, or if he doesn't, basically essentially make it a one-issue summit. Ambassador Huntsman, number one, doesn't want to call it a summit, a meeting. Have you been reassured by what you heard from Ambassador Huntsman about what the president will do with Putin? Well, Chuck, I'd feel a lot better if Ambassador Huntsman, who I have a lot of confidence in, was actually sitting in on the meeting. I'm very concerned about a one-on-one meeting between Vladimir Putin and Donald Trump. We know that Trump doesn't do a lot of prep work for these meetings. He kind of goes in and wings it. We saw what happened when he did that with Kim Jong-Un. He ended up saying everything is okay with North Korea, and frankly we've found, since that time, that's not the case. In Putin, you've got a trained K.G.B. agent who does his homework. My fear is that Putin could come in with maps of Ukraine or maps of Syria and try to cut some deal, and frankly, take advantage of this president. So, I really would feel much better if there were other Americans in the room making sure that we make the point that the first and top point of this agenda should be no further Russian interference in our elections. All right, I understand you don't want the president to do this one-on-one, but let me ask you this. Shouldn’t-- let me pick up on a point that Ambassador Huntsman kept making. What's wrong with the two leaders meeting? Yes, we should-- we have some contentious issues to discuss, but regardless of your personal views of President Trump, what's wrong with this meeting? Listen, the idea that two leaders of two great nations are meeting absolutely makes sense, but what we have now, which was unprecedented, is Russian intervention in our elections, where they hacked into Democrats' and Democratic officials' emails, released them to benefit Trump and hurt Clinton, where they intervened in over 20 states' electoral systems, where they used social media in ways that were unprecedented. And if an American leader and an American administration wouldn't start a meeting with the head of the country that did that intervention and make that the top priority, then this meeting really shouldn't take place. Remember, Russia massively intervened. They are an adversary. And my fear is this president, in particular, has been really reluctant to call out that activity, has been completely reluctant to call out Putin as a bad actor. And that's why we need to make sure there are at least other people in the room. Let me ask you, though, about Russia policy. You know, the Trump administration has been tough on Russia. President Trump rhetorically has not. Why does that matter? Chuck, Chuck, the-- Chuck, the, the president rhetorically has not been tough on Russia. As a matter of fact, Congress had to take an unprecedented action basically and say, "Hey, when we say sanctions, we mean you've got to actually put those sanctions in place." Trump drug his feet on imposing the sanctions. We had to pass legislation that frankly boxed the president in so we would avoid taking that responsibility. I want to get into the indictment. Number one, the timing of the indictment on Friday. Do you get the sense that the Justice Department was trying to send a message? You know, I had no idea when the indictment was going to come and we're still processing. And first of all, we should say there's an awful lot of very good work done here to have this level of specificity in terms of these Russian spies and how they acted and what they did specifically. We now have the Mueller investigation with over 30 indictments, with five guilty pleas, and who knows what next is to come because clearly, with the number of individuals that have said they're cooperating with the Mueller investigation, I'm sure he's got more to come. I want to know actually what you'd learned new, and you said you learned a lot new in this. And one of the things I want to ask you about is, in the indictment, we learned that on the same day, on or about July 27th, that these Russian intelligence agents attempted after hours to spearfish for the first time emails associated with Clinton's personal office and the Clinton campaign. And this happened on the day of this infamous sound bite from then-candidate Donald Trump, July 27th, 2016. Russia if you’re listening, I hope you’re able to find the 30,000 emails that are missing. Was this a new piece of evidence to you, Senator Warner? Well, it appears a rather strange coincidence that the very day that Mr. Trump calls on the Russians to hack into Clinton emails, well, the Russian spies actually try to take that action. And remember, that, that call for the Russians to act came a few weeks after Donald Trump, Jr., his son, his son-in-law, his campaign manager, had all sat down with Russian agents in the Trump Tower, where the Russian agents had offered dirt on Hillary Clinton. Clearly, you take that, you take the efforts to reach out to Trump aide, Mr. Papadopoulos, where Russians were offering dirt, there is a pattern of behavior here that I think, at the end of the day, I hope Mueller gets to the bottom of. All right, you brought up the Trump Tower meeting. In fact, we learned about a new piece of, of the timeline in the Trump Tower meeting. In between when the meeting happened and when it was set up, the Russian operatives set up a website called DCLeaks.com, literally the day before the Trump Tower meeting. Perhaps that was a way of a proof of what they had to the folks they were meeting there. Is all of this, July 27th and the Trump Tower meeting, and what we've learned now, is that circumstantial evidence of collusion? What about you? Does that look like collusion to you? And frankly -- what I'm saying, Chuck, is we've got further witnesses we're going to interview. And one thing we do know, just within the public domain, clearly there were a lot of folks affiliated with the Russian government reaching out to a whole series of folks within the Trump orbit, trying to offer information to -- discriminating and bad information about Clinton. And again, just based upon Donald Trump Jr.'s response, where he said he was pretty anxious to get that kind of information. It, you know, reading the indictment and realizing this was more than just the stealing of emails, it was the stealing of voter files and things like that, the now October 7th, frankly what has been told to me was a watered down warning to the American public about Russian interference, but that October 2016 assessment now looks awfully, awfully weak. Obviously, in hindsight, this looks weak. What should the Obama administration have done that they didn't do then? Well, Chuck, our committee is going to go -- and it’s going through the final stages of a thorough review of what both the Obama administration, and for that matter the F.B.I., did right, did wrong. I think history will show we should have sounded a much stronger alarm. But let's also take the fact, you mentioned, Chuck, the election interference. In a regular or normal administration, when we see that a foreign government had tried to intervene in more than 20 states' electoral systems, and when the current director of National Intelligence, Dan Coats, has said the Russians will be back, in a normal administration you would have had a White House designate someone in that White House to make sure election security was a top priority. Again, we've had this administration not step up. The Congress has. Our committee has. And we've put some funds out, we've put some bipartisan legislation out, but I think it's abysmal that this administration has not made 2018 election security a higher priority. Do you believe the 2018 elections are going to be fair? I hope they are, but I tell you, I feel - I would feel a lot better if there was a concerted, whole-of-government effort to make sure not only at the state and local registrar level, but on the companies that manipulate and own the voter files and maintain the voter files behind the scenes. I think we need to really step up our game. All right. Senator Mark Warner, the vice-chair of the Intel Committee in the Senate, Democrat from Virginia. Thanks for coming on and sharing your views, sir. When we come back, given what we've learned in those indictments about Russian meddling, should President Trump have postponed his summit with Vladimir Putin? The panel will chew on that next. And we are back. Panel is here. Joshua Johnson, host of NPR's 1A and now an NBC News contributor. Amy Walter, national editor for the Cook Political Report. NBC News political analyst Elise Jordan. And Hugh Hewitt, host on the Salem Radio Network, excuse me, and an NBC News contributor. All right. I want to start the conversation for you guys off with just this Susan Glasser nugget from The New Yorker on Friday. "Most experts I spoke with," she writes, "Republican and Democrat alike, were resigned to Trump being outplayed by Putin, a view perhaps best summed up by a former State Department official. 'I'm afraid,' he told me, 'that our guy here is like an amateur boxer going up against Muhammad Ali.'" Amy? Well, we already heard from the ambassador that it's just a meeting. So it's not a summit. Hang on. We went from summit to meeting. At some point he went down to detailed conversation. Right. So already we know where this is. And let's face it. Putin has already won. It's not simply that the president's going over into his part of the world and having the sit-down, a one-on-one. But the fact is that after these indictments what a president should be saying to everyone, not just to Putin but to the American public writ large, "Russia did this to divide us. Russia didn't do this simply to make sure somebody won and somebody lost. They did this to make sure that we lose trust in our political system and in our institutions. And that's not going to happen. We are America. We may be of different parties. We may have different views. But we are united in America. And that's what I'm going to go say to Vladimir Putin, that, 'You cannot divide us.'" And he can't do that. I think he will. I actually have much more confidence in the president probably than anyone at this table because I take a long view. There have been 26 Soviet-American summits, six Russian-American summits. Don't call it a summit. I know. But call it whatever you want. The worst was Vienna in '61. But the second worst was President Obama in Seoul with Medvedev on the open mic in March of 2012 when he said, "Tell Vlad give me some space." What happened after that? Snowden, Crimea, the fraught relationship the ambassador just referred to. We won't know for a year how this plays out. And I actually have much more confidence that Donald Trump will not be bullied and will not be seeking the approval of anyone because he doesn't seek the approval of anyone ever. Elise, do you buy that? But you could argue that the preconditions though that President Obama set up for Putin to feel empowered is exactly what Donald Trump is doing though by going into this meeting on Monday. You look at how Donald Trump's theatrics before the meeting with Kim Jong-un and how he threatened to-- you know, he canceled it. It was back on. And he definitely had the North Koreans sitting on the edge of their seat about would Donald Trump lend them that prestige by going to the table. Here, Donald Trump is forcing the issue against all of his top advisors. He's wanted to have this summit. They've tried to dissuade him. And there hasn't even been a principals committee meeting, as Susan Glasser reports in The New Yorker, to discuss what's on the agenda with Russia. So I just don't see how we can expect anything to come out of this and why Donald Trump is forcing the issue so much. I think about that quote from Michelangelo that our greatest danger may not be that we aim too high and we miss but that we aim too low and we hit. Ambassador Huntsman may not be calling this a summit, but I just checked the homepages of Sputnik News and RT, and both of them do. So the Russians may be viewing this the way the world views this. With a little bit more alacrity. The president may be going into this to get what he wants. And he may very well get it. He may just want this meeting to be a getting-to-know-you meeting. "We need to spend time with people who could possibly be our allies and our friends." And he may walk out of there getting everything he wants. And so might Vladimir Putin. Granted, it may not be as visible as the North Korea meeting where the world saw an image of them shaking hands. But I wonder if the larger risk is that both men could walk into the meeting, get what they wanted, and walk out thinking they're both winners. I'm sorry. This is what the president's director of national intelligence said on Friday about Russia. Take a listen. We know you run the shop. We know you're making the decisions. You can't pass it off to, "Oh, that's some hacker down somewhere where we don't know." We know what you do. (UNINTEL) he said a blinking red light, essentially comparing to it right before 9/11. So the president's going to sit down and try to befriend somebody who Director Coats says is currently attacking the United States? Well, and framing it like this, the way that the president has, 1) "Putin's not going to admit it. So why should I even ask him?" And, 2) "It happened under Obama's watch." Now, both of those things are true, but that's not the point. The point is not to say, "Well, did you do it?" and then have him say, "Of course not. We don't do anything. We don't spy." It's to say, "We know you did it. Look at how detailed. We know you do it. We know the names of people who are doing it." We know they've been doing it. I was reminded last night at dinner by two veterans of the IC, 40 years ago anniversary the Russians executed Georgi Markov in London with a ricin-tipped umbrella. They are the Russians. They have been the Russians since Stalin. They are the same people year in and year out. And Romney was right in 2012. I just think that the American media is trying to infuse Donald Trump with a sort of willful blindness that he doesn't demonstrate. Whoa, whoa, whoa. Why are you-- wait. What the heck are you talking about with "media"? This is not media. This is John McCain. This is actual -- This is Mark Warner. These are serious officials on both sides of the aisle. The is not the media. It's not the media that's saying this. It's people inside the White House saying it, Hugh. The only preparation has been John Bolton going over last week and pursuing a policy that is completely the opposite of what John Bolton has espoused his entire career. Plus, this is the point, is that it's one thing to do the spying and all the other things that Russia has been doing. But, again, when it is turning Americans against Americans. And that was their point, is for Americans to not trust not just the political parties and the political institutions. But not to trust the F.B.I. and any other institution. That to me is more worrisome. -in this. I'm just saying the Russians have been the Russians, are the Russians, will be the Russians. And everybody knows it. And we should not downplay the fact that Trump knows it, too. And the president is not categorical in saying that he will ask the Russians to extradite these men. He won't even say it. That alone is a gigantic concern, that he won't stand up and say, "My government is accusing you of committing a crime against our democracy. You have to act, or I will." Well, but I think Hugh's point is an important one. We should learn from the past. President Trump should learn from what happened with President Obama, what happened with President Bush. And he's not. And so advocates of Trump's foreign policy saying it's good that he's going and shaking things up in NATO and going against the grain, well, then why do we support what he's doing with Russia when it's failed in the past? All right. Got to make that the last point. I promise you guys get to come back here. But when we come back, I want to talk to some elected Republicans about this. Do Republicans think President Trump is right to go ahead with the Putin summit? Senator Dan Sullivan of Alaska is next. Stick with us. We certainly are, Chuck. Absolutely. And, by the way, they're doing a lot in the Arctic, too. Aggressively moving in the Arctic. Let me play something for you from a colleague of yours on Thursday. Republican colleague Cory Gardner. Here's what he said about Russia. I think we should name Russia a state sponsor of terror. I've been on the record saying that Russia should be a state sponsor of terror. He said this before the indictments came out. The indictments come out Friday. Do you agree with him? You realize though, senator, everything you're discussing you guys have forced him to do. You have forced the administration on this. He himself, though rhetorically, seems to-- when he rhetorically downplays this concrete action that you're talking about, doesn't it undermine the action? Well, look, the Javelin system, for example, wasn't forced on the president at all, right? President Obama didn't want to do that. President Trump and Secretary Mattis did that. That - Putin understands power. And let me just mention one other area. Energy. Chuck, we have this great opportunity unleashing American energy. I was in a meeting with Senator McCain about a year and a half ago with a senior Russian dissident. At the end of the meeting, I asked him, "What more can we do to push back on Putin?" He said, "The number one thing you Americans can do is produce more American energy." We're doing that in Alaska with the opening of ANWR L&G (PH). So we're doing a lot. And it's the White House and the Congress together. These are concrete actions that Putin understands. To your point on the, on the rhetoric, you know, I think that actions speak louder than words, particularly as it relates to Vladimir Putin. And hopefully when the president meets him, they're going to be able to talk - these concrete actions that were taken. Yeah. I know you're close to Senator McCain. He basically says, "If you're not going to stand up for this, cancel this meeting." What do you make of that? And what should be the agen - what should be the agenda? We know there may not be one. But what should it be in your mind? The agenda should be I think, number one, that we should let Vladimir Putin - the president, and his team should let Vladimir Putin know, "If you want a better relationship, if you want, for example, sanctions to be lifted, it's going to be up to you.” What do I mean by that? Don't invade your neighbors. And move out of the countries that you've invaded. Don't align yourself with the world's biggest sponsors of state terrorism in terms of Iran. Don't back regimes like Bashar al-Assad. And certainly don't meddle in the elections of democracies like the United States--"
--"and our allies." But absolutely. That should be the condition. Everybody's talking about, "We need a better relationship. Putin wants a better relationship." My view is it's up to the Russians. Because they need to take actions to get that better relationship. You're basically saying President Trump better not give in to any of Putin's asks. Putin may ask to get American troops out of Syria. Putin may ask to lessen the sanctions due to Crimea. Putin may ask to lessen some of the sanctions and give back these - these compounds that we took away. So if the president gives in on any of those things, what are you going to do? If the president is giving in on lifting sanctions without Putin taking action, I think that would be a mistake. Now, the president has also mentioned other areas. You saw Ambassador Huntsman talk about other areas of possible cooperation. One that the president highlighted in his press conference with Theresa May was on nuclear proliferation. I mean, I think if we can make progress on nuclear proliferation, which I think right now the weapons of mass destruction proliferation threat is very significant. Getting Russian cooperation on that would be important. So, there are things outside of the direct relationship. But if he wants a better relationship, particularly Putin wants the lifting of sanctions, he's got to take actions to make that happen. I want to get you to comment on something that somebody who I believe was a colleague of yours when you were at the State Department, Nick Burns. I think you know him well. He was an undersecretary during the Bush years just like you. And this is what he tweeted this week: "Trump's trip to Europe is the single most chaotic and destructive of an American president. He has put us at odds with the E.U., weakened NATO, disparaged Germany, and directly undermined May," referring to Theresa May. "He is a wrecking ball. American credibility has been diminished." Do you agree with him? Look, I - I have a lot of respect for Nick Burns. The one thing I would say, and I've said to this administration from the president on down, our most important strategic advantage in the world is that we're an ally-rich nation and our adversaries like China, Russia, North Korea, Iran are ally poor. They know that. And they've tried for decades to undermine our alliance. Why is the president helping? --reverse or declining their defense spending, including us. And then even the president raising this issue of energy in Germany and Russia was important. So I think overall it was a successful summit. Senator Sullivan, I appreciate you coming on, sharing your views. Sounds like you are taking the president's signature at his word. Not necessarily his rhetoric. --Russia's listening. And um, but we got a lot of work to do. Thank you very much. Later, with the panel and end game, President Trump confronts NATO. And that wild hearing with House Republicans and F.B.I. agent Peter Strzok. But when we come back, an all-star data download. Literally. Welcome back. Data Download time. A pretty special one this week. We've got a GRAND SLAM for you from Nationals Park right here in Washington, D.C., home to this year's this Major League Baseball All-Star Game on Tuesday night. The last time Washington got to host baseball's midsummer classic, the year was 1969. And, wow, America was a different place. So was America's pastime. Just think about how much more diverse baseball has become. In 1969, 74% of Major League Baseball players were white, 15% African American, just 11% Latino. This according to baseball researchers Mark Armour and Dan Levitt. Well, in 2017 the player census read this way. 63% white. Just 6% African American. Obviously that's down from '69. But nearly 30% Latino. Obviously players from countries like the Dominican Republic in particular and Venezuela have driven a lot of this change in the game. And of course this trend also reflects the growing Latino population right here in the United States. And as the country's population has moved towards both the South and the West, again, baseball has followed suit. Believe it or not, in 1969 there had never been a major league team in the states of Florida, Arizona, or Colorado. And that year there was just one team in Texas, the Houston Colt 45s-turned-Astros. But if you build it or if you move there, they will come. Now, we've got the Miami Marlins, Tampa Bay Rays, a second team in Texas, Texas Rangers, Colorado Rockies, and the Arizona Diamondbacks. All as the populations of these states have obviously grown rapidly. Now, regrettably taking your family out to the ball game is a bit more expensive today than it was in 1969. Back then you could get a lower-level ticket to the All-Star Game for just 12 bucks. In today's dollars, by the way, adjusted for inflation that price would be $82. Well, guess what? This year, that lower-level ticket is going to run you about $350 face value. I'm not talking behind home plate by the way. And even though baseball attendance has ticked down slightly the last few years, it's a pretty good news story over a generation. We've still got more than double the amount of fans showing up for games today than in 1969. An average of nearly 14,000 per game back then and an average of just over 28,000 today. And finally, who's most likely to be tuning in to the game Tuesday night? Well, it wouldn't be D.C. if we didn't slide some politics in. Our friends at Simmons Research found that 35% of Republicans say they're interested in Major League Baseball. It's a slight edge over both Democrats and Independents, who both clock in at 29% each showing high interest in baseball. But even in this politically divided town, there's going to be one thing we all agree on this week. We're going to root for the home team. Let's go, Nats. And root for the home league. Let's go, National League. Coming up, back to the studio with the panel and end game. Coming up, end game and postgame brought to you by Boeing. Continuing our mission to connect, protect, explore, and inspire. Whew. Back now for end game. No traffic this morning coming from Nationals Park to here. It was great. Look, I want to get back to the investigation and something Rod Rosenstein said that to me was hinting at more to come and more divisiveness to come. Take a listen. It's important for us to avoid thinking politically as Republicans or Democrats and instead to think patriotically as Americans. The blame for election interference belongs to the criminals who committed election interference. Yeah. Look, we know that the Americans - that the potential for indictments of actual Americans are coming. And that sounded to me like a man very worried about where this is headed. Look, we don't know where this is going. Neither do most Americans. And so what we're filling in with the gaps we don't know is our partisanship, right? If you like the president, you don't trust this process. If you don't like the president, you trust the process. What you feel even about the Russians, whether it's a serious issue-- this was a Washington Post poll. Asked the question, "Do you think that Russian efforts to influence the election was a serious issue?" Only 13% of Republicans believe it's serious. --said it was blown out of proportion, the election interference. So we aren't going to agree. It doesn't matter what comes out. These numbers about how you feel about Mueller, how you feel about Russia are already baked into the cake. Well, let me - let me speak as a D.O.J. alum. I'm very proud of the Department of Justice. And what I take away from this indictment, if you colluded with Russia and you're an American, given the capacities that were demonstrated in that indictment, we will get you. We know everyone who colluded. And if they are not yet revealed - so you should put your hand up and run to the special counsel. Because we know everything that happened. Alright. Something else happened this week. It was this Peter Strzok hearing. And for some reason it was decided to put it in public, which made it have a show trial feel. House Republicans - we'll see what you guys think, if they covered themselves in glory or not. Take a listen. I don't give a damn what you appreciate, Agent Strzok. How many times did you look so innocent into your wife's eye and lie to her about Lisa Page? By the way, I'm a dentist. Okay? So I read body language very, very well. You got very angry in regards to the gold star father. That shows me that it's innately a part of you and a bias. Elise, most of the hearing was speeches. And in fact, at one point Peter Strzok wanted, "Can I respond to the question?" "No," he was told. Look, Peter Strzok committed some - obviously had some problems in what he did. And he appeared to at least let some of this stuff get to him a bit. But what the heck was that? It was political theatre. It was a circus that both sides weaponized for their own purposes. And we didn't learn anything new at the end of the day. After sitting through I think it was eight, nine hours of the theatre, what new information actually came out of it? We just know that this is going to continue to rip the country apart as they dig into their bias - into their bias and seize onto the sides that appeal most to their impressions. Well, and it also doesn't help us rehabilitate the image of the F.B.I. or get down to what's actually happening at the F.B.I., whether there are changes that need to be made. I mean, remember that news conference that Chris Wray, the director of the F.B.I., gave I guess it was early last month in response to the inspector general's report? It came up in Jim Jordan's head. In Jim Jordan's head. And it was not contradicted by Peter Strzok. Look-- I read this like a lawyer. I’m sorry - no, you were making-- look, we're running out of time here. It didn't. He was told what he couldn't say by the F.B.I., Hugh. We will find out in the end how it all came together. But it's one investigation. I ask everyone just to wait on everything until the end. All right. We'll leave it there. That's all for today. Whew. Thanks for watching. And remember, if it's Sunday, it's Meet the Press.